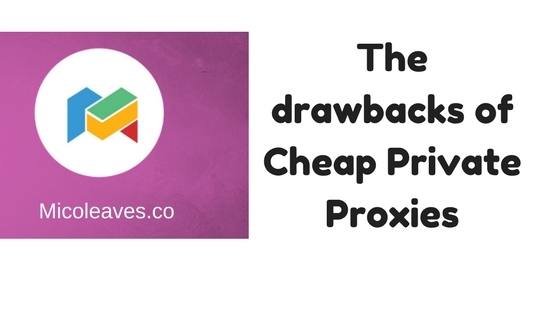 Cheap private proxies are the proxy packages available at low costs. The low costs have raised many eyebrows. Security is the major motivation of buying proxies. Proxies enable users in covering tracks on the internet and having an untraceable identity. The private proxies are highly efficient in carrying out these tasks. There is a lot for the users to look forward to. Privacy and high security of the IP address are among the best things about private proxies. The cheap private proxies are reliable to some extent. However, one has to be careful when buying proxies. There can be issues and drawbacks. The aim of private proxies is to ensure that your IP remains undetectable. Private proxies help in maintaining a truly private connection. There is one user per proxy and tracing the IP is not possible. Hackers will not be able to extract any information. The cheap rates are a cause for concern as the privacy of the network comes under question.